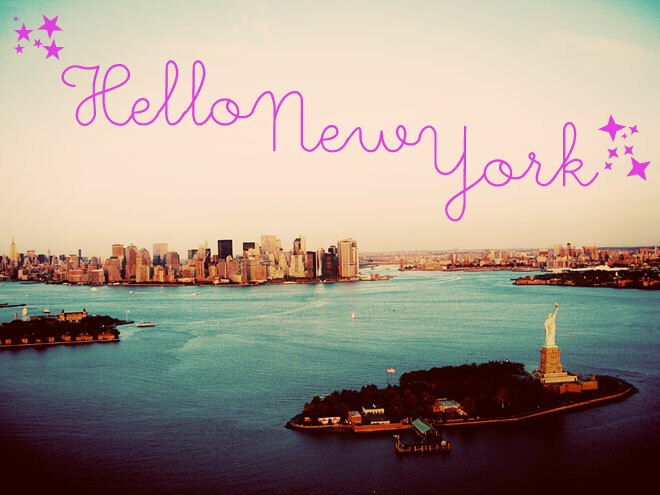 In two weeks time it’s all Sayonara Stockholm and Woop Woop New York! Me and Erik is going for 5 days. I’m psyched! It’s going to be election night, the marathon (hell no – I’m not running but still), no kids and great food and shopping like sugar on top! And it’s also going to be Erik’s 40th birthday. So do you have some cool ideas for us to do? Something I can surprise him with? 4 years ago we stayed in New York for a couple of months – it was great and I ended the stay by doing a feature for SVT about it so I think I covered the basics but maybe you have done or have a great plan for us? I’ve heard this Sleep no more show is supposed to be fantastic. But what else? One of my best New York tips is taking a food tour. I did the one around Greenwich Village two times and Erik tried the Chinatown once. You hear lots about the neighborhoods and get tastings at different restaurants and bakeries. I’m kind of allergic to feeling like a real tourist, I want to be a cool local everywhere I go which is kind of stupid since touristy stuff is touristy by a reason… But if you get over your own coolness I recommend trying a tour. I even took a Helicopter tour and loved it. But now for his day I need a plan…. Oh and yes – read about Jenny and Jens adventures in New York last year! ok – thanks I will check it out! Kul! Jag var i NYC i maj förra året och vi bodde på The Jane Hotel. Jättefint ställe med finfin personal i finfina outfits. Där kunde man låna cyklar så vi cyklade längs floden upp till Central Park och sedan runt i parken. Det var hur fint som helst! Trodde ej att jag någonsin skulle cykla i New York men det gick ju alldeles utmärkt. :) Åt bland det godaste jag har ätit på El Almacen i Williamsburg också. http://www.elalmacennyc.com/ Så mina tips är alltså cykla! Och ät på El Almacen om ni gillar kött! You absolutely HAVE TO see Sleep No More! I’m not sure if it’s still running but it is incredible. ok then we go! It’s still running so lucky us. You should take the IKEA boat shuttle from one of the piers in the Finance district. You will pass Statue of Liberty and Ellis Island on your way to Brooklyn. IKEA is located in Red Hook which, if you ask me, might become the new hipster mecca after Williamsburg. Parts of it seems more or less abandoned while other streets have lovely small shops (vintage, handicraft, design) and nice cafés. If you haven’t been to NY for a while, don’t miss the High Line park. Great design, great views, great people watching, and absolutely free. Happy travels! – In reply to: p.
Isabelle: åh tusen tack – lobester piren ser ju toppen ut hoppas vi hinner! Buddakan är bra där har jag varit men det är länge sen! Butter lane cupcakes are awesome. Also, right next to Butter Lane is the Big gay icecream shop. Across the street is a store called porchetta – great sandwich. Actually just make sure you walk down eat 7th street between tompkins square park and 1st ave. The high line is worth a visit. Also, if you haven’t done it yet, the tenement museum is really good. If you haven’t seen the world trade center memorial its worth doing – but you have to book online in advance – its free. Also, go to chelsea on thursday night for all of the new show openings in the galleries.